A new Chromebook is soon to hit Amazon, made by Acer and based on their already-impressive C720 offering. The newly-announced $199 C720-2848 is almost identical to the $250 C720, but Acer decided to cut this model’s RAM offering in half from 4GB to just 2GB. 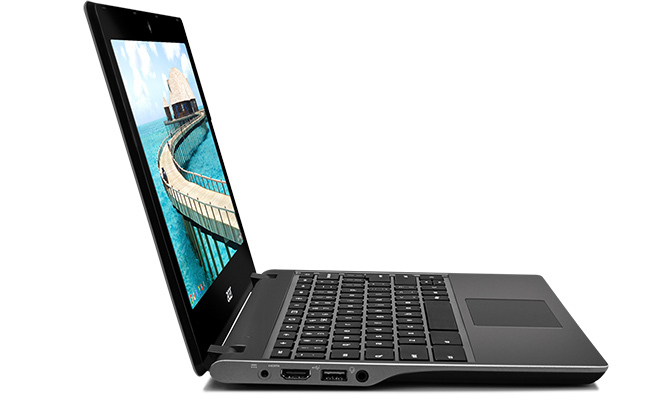 Both models feature identical 11.6″ 1366 x 768 displays, as well as the same Intel Haswell Celeron processor. If you only have $199 to put towards a Chromebook, and you can’t stretch to $249 for the full C720 with 4GB of RAM, then this new model isn’t all that bad.